Triune Music President, Steve Smith, had the opportunity to see and play these new instruments in California in January of 2018. He found them to be some of the finest, introductory-level instruments ever built by Rodgers. 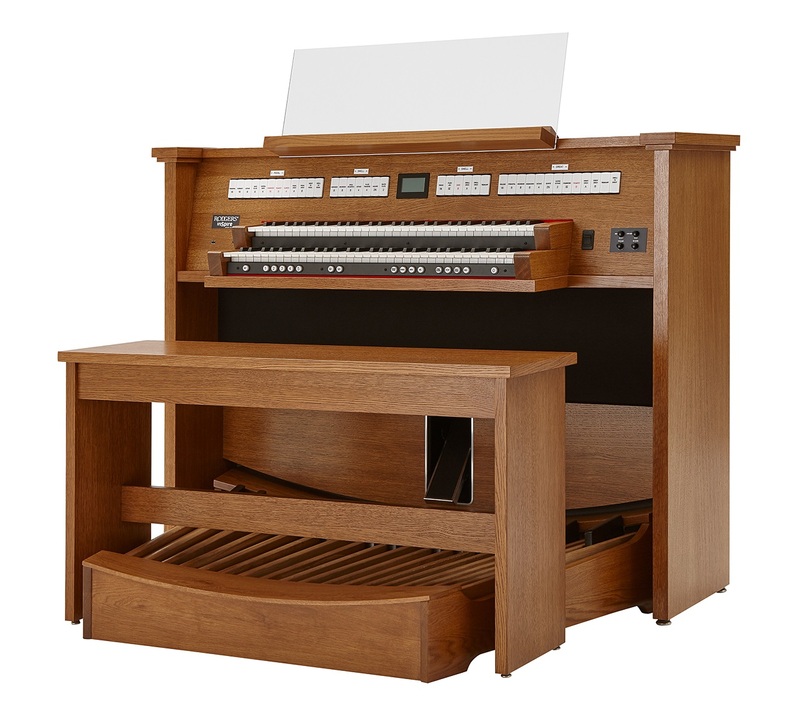 These oak consoles are beautiful and substantial (a vast improvement over the Roland Classic Series Organs). These new models feature wood pedal sharps and new keyboards that offer a very light “tracker” touch (which is ideal for home practice). Most amazing is the new surround (or Convolution Reverb) system which features the room acoustic of 12 actual buildings… including Tittle Chapel (Evanston, IL), First Park Congregational Church (Grand Rapids, MI), and the magnificent acoustics of St. Mary of the Angels Catholic Church (Chicago). Click on the links below for full specifications and details. Make an appointment today to stop by to experience this new sound & new technology in person. Compact, high-quality console with a classic look. Optimized sample quality of the authentic American pipe organ sound. The possibility of endless combinations using unique voices from 5 different styles. A highly balanced 2.1 or 4.1 audio system. Rehearsing, composing, and improvising wherever you – right at home. 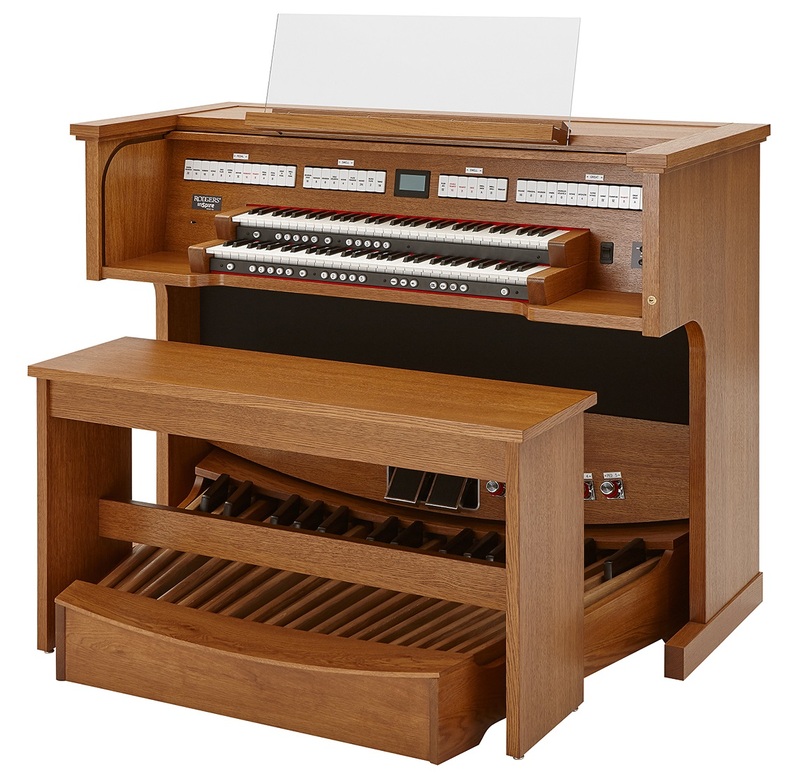 All the organ’s features are designed to raise the spiritual experience of music to a higher level.